I ride year around, and often ride at night. While battery-powered lights are excellent, there’s real benefit to having an always-available power source for lighting and other electronics. This is especially useful when riding in very cold weather, which saps even the best batteries, or when away from a way to recharge them. 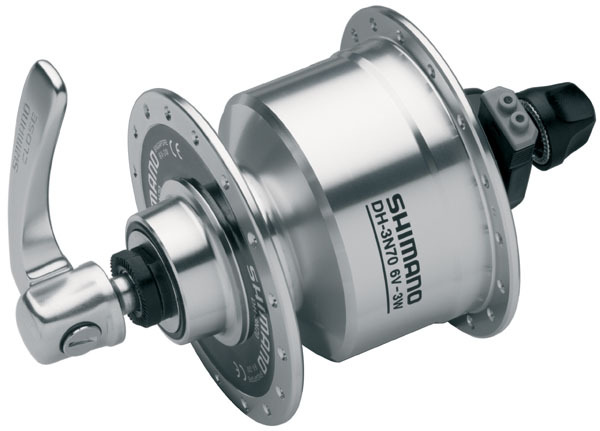 Currently, there exist only 100mm OLD dynohubs such as Shimano’s Alfine or Schmidt’s SON. This is fine and good for most bikes, but it’s severely limiting for fat-bikes because it prevents the use of a fork wider than 100mm. This limits both rim and tire size, and also confines fork choice to just a couple of options. So, I wish that both Shimano and Schmidt would make dynohubs in with a 135mm OLD with 32 holes for use with 135mm offset and non-offset forks. Wishlist is an occasional series dedicated to things that I wish that someone or some company in the cycling industry would produce. Most of it is probably just whinging.